my dreads did not cost more then my rent and take hundreds of hours of hard work. 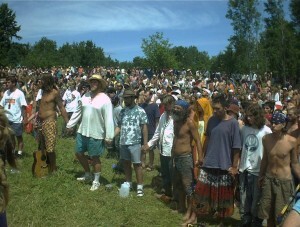 My dreads formed naturally when i went to a rainbow gathering deep in the wilderness in vermont. 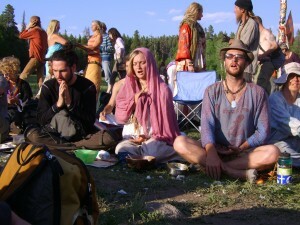 I pent a few weeks there in the national forrest, meditating, celebrating living in bliss. no pain, no effort, no expense at all. I tradded some crystals for some beads, and stuck them in my untangled hair, and went on my way, forgeting about my hair completely, i drummed around a fire all day and night, chanted spiritual chants, took part in a peyote sweat lodge, made friends with the grumpy old rattlesnake that lived only feet from my tent, bathed in a freezing cold mountain stream letting a waterfall wash my hair clean. My hair dreaded fast, so fast in fact i was surprised to find dreads suddenly one day. I had had dreads just a year before but had cut them due to pressure to join a corporate hell. I hadn’t even known i intended to dread again, even though i felt a profound loss after cutting them. Once a few dreads formed in the back where the beads were placed more began to follow. some were decorated with wraps and bells and feathers and beads memmories of the beautiful people i had met there. My dreads held in all this energy that surrounded my, making my journey to dreadlocks a spiritual journey. (dreading usually is but the more you immerse yourself in spirituality the more profound the amplifying affect of growing dreadlocks). When i left the woods i was well on my way to a full head of dreads, although the top was not full of dreadlocks yet, the back was already fully formed. The rest of my hair dreaded up over the next month or so. Today it has been 21 years since i began this journey, and i still continue along the way it was begun. I have never maintained my dreads except by washing, seperating and going back to the forrests where they began. enlightenment i believe is the 1 thing that helped my dreads progress and flourish the way that they have. I have been blessed with an opportunity to help tens of thousands to begin the dreadlocks journey through the dreadlocks site community i created. 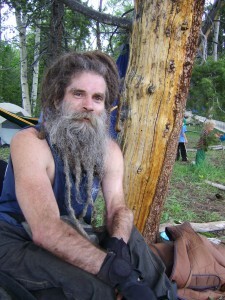 I have also been blessed with a lifetime of amazing experiences at rainbow gatherings, and i would not be the man i am today without both the gatherings and my dreadlocks. i have always waetnd to get dreads and i’m a white girl. but everyone says they are just dumb. I, however, think they are cool on white chicks, they look legit. naw, they only got popular reecntly with america seeing it as a style. if you had dreads you were rastafarian. it wasn’t a style option. because dreads was apart of their religion, if you had dreads then you were a rasta. now, you have to ask because it is a style option from some people. but because it is still strongly associated with rastas, some people look down on it. a teacher at my school her mom hates her locs and shes from the caribbean. some people will say get with the time, but some people will say know the history of it. I knew it!! I tried the salon thing, $250 later and 1 dip in the great ocean…they popped right out. There’s only one other person ive personally heard say “..just leave it..”/ his name was Bob Marley. i am officially taking the advice and doing what i knew in my heart to be true all along. thank you! and thank jah!! My name is Jess, I have two beautiful daughters and have another on th way. 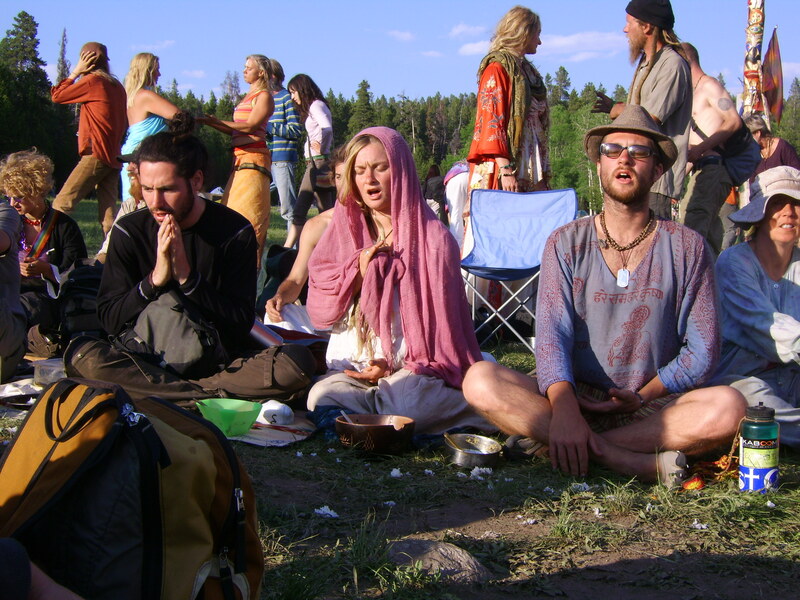 I am a very spiritual person and believe in many things.I was wondering if you could, please explain what the rainbow gatherings are about. I am courious, and would like to learn more. I know I could have just looked it up on google but I figured I should ask someone who knows first hand. Oh, and by the way I absoloutly adore your website! It is full of great knowledge on dreadlocs. I have had mine for 8 months now and have taken alot of your advice. Thank you so much for your website. hi, i found this post and i too am really interested in these rainbow festivals – any ideas about how to find out where they are i.e. are there lots around the world?? i live in europe and have zero cash to go further afield (though it’s true, the one in india must be awe inspiring! ), but im really into going to one of these festivals, meeting likeminded people, being in tune with reality, in harmony with mother earth. can u help with any way to find out about them?? many thanks, love your story, u r a great human being! yeah cool, i understand. its just im kind of thinking of e.g. the original stonehenge festivals (from 1970s) which were totally non-commercial…..though of course eventually that changed for the worse 🙁 like glastonbury, just a huge cop out… ‘entertainment’ – at a huge price 🙁 im just too idealistic i suppose, would be nice if all festivals were like the gatherings! and its the lifestyle which counts, absolutely! and i watched the youtube video, awesome! really, love u guys! rainbow family should rule the world, make it a much better place! 🙂 thanks for sharing that link, i really appreciated it! I praise the Most High for your inspiration. My question is, what if your locks formed and grew in the midst of noise, confusion, or rather a caotic situation? Should I cut them and start again when I am more at peace during my transition?